This year is going to be a great year for the early flowers! In Sussex the Camellias are spectacular, having had the benefit of no serious frosts for some weeks now. The forests and woods are also remarkable, with Wood Anemones, Crocus, Lesser Celandine, Cyclamen and Winter Aconite all blazing away before the trees come into leaf thus shading the floor in perpetual gloom. The Azaleas and Rhododendrons are also just coming to the fore. I am told Bodnant Gardens is especially radiant this year and well worth a visit if you live near. But there other gardens with equal displays across the country. If visiting inspires you to plan your own early flowering garden then make sure to try and copy what nature already does. Just looking at online catalogues will tell you that there are many to Rhododendrons to choose from, with many new hybrids being bred each year. Be advised, read the label well as some species can grow to 50ft high as well as across! Once you have chosen it is best to think of how your plant grows naturally. Azaleas and for a start grow in shaded valleys high up in mountainous areas (5,000 to 10,000 feet) with a high annual rainfall. They also prefer a soil that is well mulched and high in leaf litter. Another thing to consider is the surrounds. Rhododendrons live best in soils where they are not competing with larger, heavier plants that take all moisture, although the paradox here is they cannot tolerate the heat of the full summer sun. Basically a damp, shaded or semi-shaded spot surrounded and overhung by deciduous trees like birch or ash is ideal. Pruning is pretty simple once the plant is established. Always do it just after flowering has finished. This gives them the time to create new growth over the summer to hold next year’s flower buds. They are pretty disease resistant, although there are a few new fungi to look out for. Just keep them fed and mulched and they should be happy. 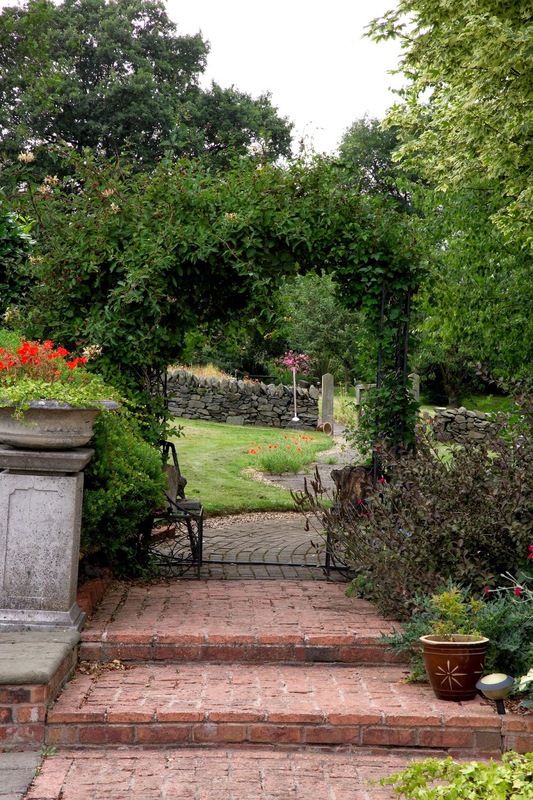 August is always the time we most appreciate the garden. It is the time when we supposedly see the garden in full. The flowers are a riot of colour. The vegetable area is providing bounty. The birds are singing, the insects are buzzing. We are at peace. Accordingly, I always go my to my gardening library – which is approaching somewhere in the region of 400 books on the subject - and research the plants I see in other peoples’ beautiful gardens. One thing I am always surprised by is the actual length of time these plants have been in our gardens. Our modern media would have us believe that plants are new and exciting, never before seen, but the reality is that much of what we see at flower shows and in the local nursery are the result of mere tinkering with the genetic inheritance. For example, those most beautiful of garden perennials, the peony were introduced to this country by the , Romans, but the Celts, the Saxons, Normans and countless other immigrants have added to the wonderful mix. For example, Acanthus, Iris, the Sweet Chestnut, the Walnut, Dianthus, Wall-Flower, Asparagus, Cabbage, Onions, Tanacetum, and many other plants we now regard as commonplace. There are of course many plants which are indigenous to the UK, but I think the really exciting thing is to realise just quite how long we as a species have been trying to improve the environment around our home. Imagine being the first man in Britain to have an exotic ‘Yellow Flag’ Iris growing in your courtyard. That is why we still find going to the local flower show or garden centre such fun. Finding a hidden gem I am sure is genetically intrinsic in our nature. But let me offer you some tips on buying. 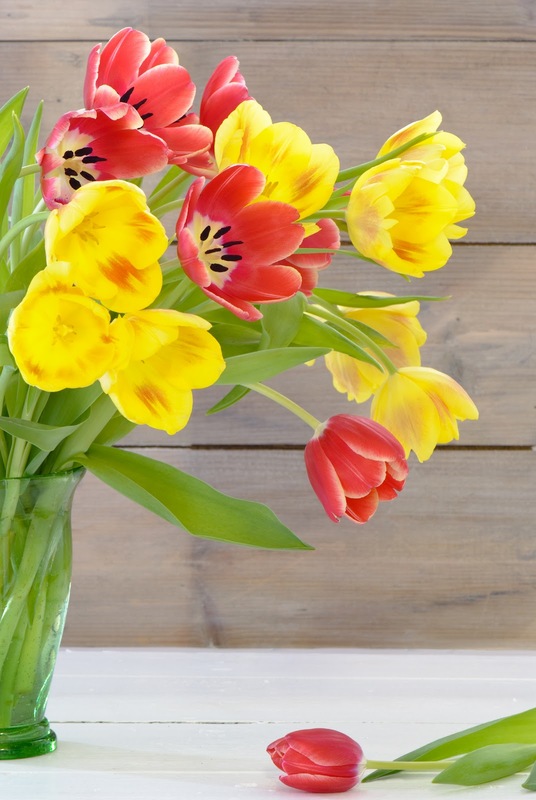 Never buy a plant in full bloom – it will last less time than if you buy in bud. Check for insect damage or indeed insects attached! Try not to buy a plant that is either pot bound (you can tell by the roots pushing out through the bottom of the pot) or a plant that has a huge amount of moss on the top compost – this means it has sat around for long enough for something to grow on the soil and is therefore quite an old plant for the pot size and something may be wrong with it. Do not buy a plant in a pot that has dried out, this is a bad sign that the plants are not well looked after by the nursery. Try not to buy on impulse. Think of the space the plant is going to fit into. If it is going to get to ten feet tall it won’t fit on your patio. Well, we are at the end of the blackthorn winter. If you are not sure what the blackthorn winter is, I shall endeavour to educate. In old country lore, there is a plant called the blackthorn, or if you prefer scientifically it is the Prunus spinosa. Anyway, it is said, when in flower, there is always a second winter. If you are unsure of what you are looking for, it is the bush with the horrendous thorns, the beautiful white cherry-like blossom and the incredibly tart fruit known as a sloe. So now you know. I must say, before the cold weather set in, I was enjoying the display of Magnolia flower. Many of you may be interested to know it is the very first example of an insect attracting flower, so thus it is the oldest flower design discovered in the fossil record. In the garden, you may just about get away with still planting bare-rooted shrubs such as roses and raspberries, provided you give them a copious amount of food and a healthy watering. Now is the time to prune some of the winter flowering plants such as Jasminum nudiflorum, Viburnum x bodnantense, Viburnum farreri and Viburnum Fragrans which should be at the end of their flowering. This early clip will allow them to grow new shoots for next year’s display, without the plant growing beyond the size you want. This is quite an important tip for all those gardeners who want to know proper husbandry. Don’t just prune in summer or autumn randomly – try to prune the right plant at the right time, to improve the life of the plant and to improve flowering. Another key plant that is in flower now is the Camellia. All that flowering is going to leave it a little short on food, so now is the time to give it a good boost with azalea food. This will not only help it for this year, but also next. Remember, prune a Camellia just after it has flowered to give it a chance to grow next year’s buds. So, we have reached Mid-Summer, which in gardening terms is a great marker point. The beds should be full of glorious colour and if you are wise, scent too. One of my favourite plants for scent is of course the rose, which despite being just an ugly stick for 5 months of the year - as described by the previous head of the RHS - has the remarkable reputation of being one of Britain`s favourite plants. 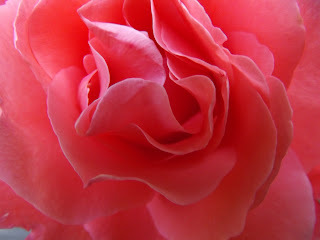 It is not without reason that roses have such a special place in our hearts. They have been in cultivation for thousands of years; indeed the Babylonians and Egyptians had them and they are mentioned in the Bible, Tora and Quoran as well as Shakespeare and other literature. The English crown of course has a white and red rose as it`s symbol of unity and the Empress Josephine had one of the greatest rose gardens in history - which was sadly destroyed during the Franco-Prussian War. If you like roses and want to plant them in your garden, look at the David Austin or Peter Beales catalogues for ideas - there are others, but these are the best. Read carefully, deciding on flowering time, scent, colour or height. Personally I love sticking my nose in a rose and smelling that particular fruit scent you get with some of the dark reds like ‘Ena Harkness’ or ‘Crimson Glory’. “In general, roses with the best scents are darker colors, have more petals, and have thick or velvety petals” – to quote Dr.
Leonard Perry of Vermont University. But there are down-sides. Thanks to the introduction of the `Persian Yellow` variety, we now have many plants that are susceptible to fungus such as black spot. Which means if we want perfect rose leaves, we have to spray with toxic fungicides. There is also the problem of leaf pests such as the Rose Leaf-Rolling Sawfly, which has usually done it`s damage by mid-July and is very difficult to eradicate. The aphid is also a major problem from March onwards, effecting not only the leaf, but also the flower buds and the residue proves a great host for yet more fungus. These can be sprayed against with a systemic insecticide, but given we are talking about a plant that attracts bees, I suggest you try not to. There are some methods which supposedly put pests off. The planting of parsley, calendula and alliums all aid the gardener in his or her attempts to ward off pests. I am also told a garlic spray mixed with crushed and boiled horse-tail acts as a good insecticide and fungicide. But to be honest the best thing one can do with your roses is enjoy them for what they are. Appreciate the variety of flora and fauna that the rose attracts. We look at an oak and understand it provides a home for thousands of animals, fungi and mosses, so why look at a rose any differently? 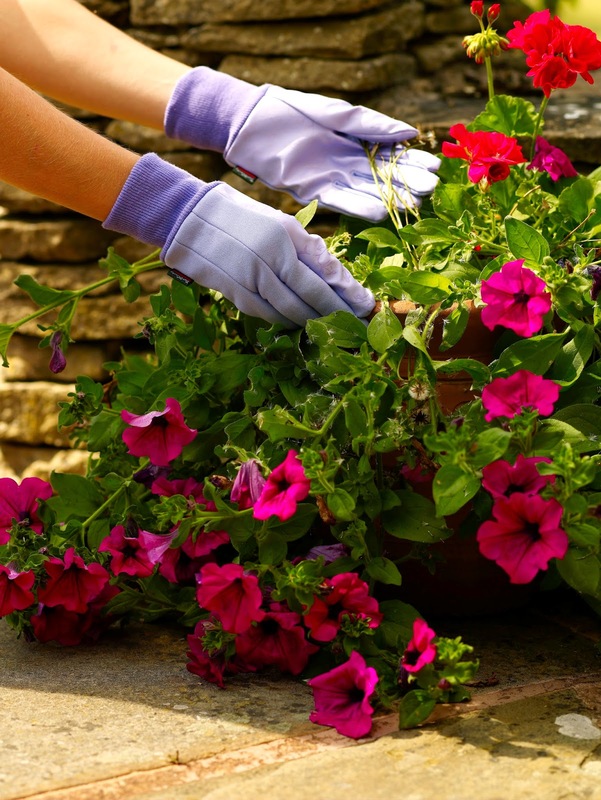 As long as it is fed well and pruned at the correct time, it will go on giving the pleasure of flowers and structure to even the smallest of gardens. At this time of year we are all looking forward to the imminent arrival of spring and all the flowers that will burst forth to lighten our days. But how many of you are looking forward to Autumn and how we can improve the garden display before next winter? 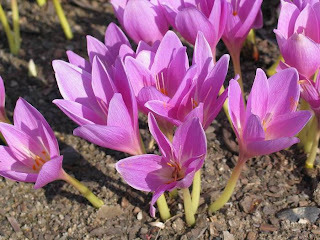 There are a number of bulbs which you can buy now and plant when the frosts have passed which you might enjoy and will certainly add colour at the other end of the year. Beside the fact that there are now enough species of snowdrops to provide flower all year round (except for some reason the month of May), there are some less well known but equally beautiful additions to the borders. 1. Autumn Crocus or Colychinum. A stunning plant, that is actually not a crocus. Plant underneath a tree or similar area to prevent it from suffering from too much rain. An excellent cut flower and so many to choose from (although it makes the water smell very quickly), this is a must have addition to any border. The new name for 'Monbretia', one of my personal favourites and again a beautiful plant for the flower arranger. 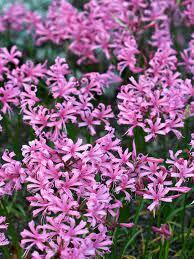 These pink flowers are so recognisable, yet are much maligned. A personal favourite. Treat yourself. And if you really want to push to boat out and think of NEXT year, try sourcing some winter flowering aconites 'in the green' and cyclamen. Marvellous for that very early spring colour. Oh, and if you want the 'all-year-round' snowdrops, be prepared by taking calm breaths and be ready to empty your deep pockets of any loose change. One rare bulb recently sold for £750! Now is the time to start thinking about buying your bulbs to plant out in the Autumn for the following year. If you put in the effort now you will be rewarded with a variety of flowers throughout next year. Look online for a great variety of different breeds of plants and maybe even some bulk buy offers! It’s easy to get overwhelmed with all the information that there is about gardening. I can wind myself into a knot trying to work out which things I should be pruning and which I should be tying in. I am gradually coming to the conclusion that it doesn’t really matter what you do as long as you do something. Even a brief wander around the garden when you get in from work can pay dividends. Just to pull up a few weeds before they take hold, or to pick a few fresh berries before anyone else gets to them can be as useful or pleasurable as a planned day of gardening. Some of the best things that happen in our garden happen by accident anyway. Flowers that you didn’t cut down can self-seed in the prettiest of places, late sowings can provide some unexpected autumn colour, even an unkempt lawn can provide a beautiful blanket of flowers. I have spent some time searching around the internet to find out what these purple lawn ‘weeds’ are. I think they are called ‘Selfheal’ (prunella vulgaris) due to their medicinal uses. I don’t quite know how our small front lawn became quite so invaded with the amazing violet flowers, but I guess it is mainly due to our laziness about mowing the front lawn. It’s a bit of a pain to get the lawn mower down the side of the house, as en route you trip over spare decking planks and graze your knuckles on the textured render on the wall. So more often than not the discussion will go “Does the front lawn need doing?” then “No I did it last time it will be ok” So it lasts another week and gradually turns into a meadow filled with clover, selfheal, buttercups and daisies. From what I read they are quite difficult to get rid of...so I won’t. They are pretty so they can stay. If anyone were to ask me what my favourite plant in the garden I would have to say Astrantia. I bought my first one from a local farmers market from a stall that specialises in unusual perennials. Just my cup of tea. I was taken by the delicate papery star shaped flowers, which are, in fact, bracts that protect the tiny flowers in the centre. These dainty central flowers give rise to the common name of Hattie’s Pincushion. They are also sometimes known as Masterwort and their natural habitat is damp meadow edges or woodland so they like to be planted in moist soil and are happy under the shade of trees. Mine are in a mixed border crowded in with Hostas, Lily of the Valley and Euphorbia. They create a dense dome of leaves early in the spring and flowers rise from the greenery around May and carry on flowering through the Summer. They then dry on the plant and stand tall quivering their seeds to the ground whilst still looking stunning right into Autumn. The first Astrantia I bought was a white one, tinged with green, I don’t know it’s name as the plant tag has long since been lost. Then I found a very pretty dusky pink one and I have now added a deeper red version too. As well as looking good in the garden the flowers are lovely mixed with others in a vase and they also dry well if you like that sort of thing. 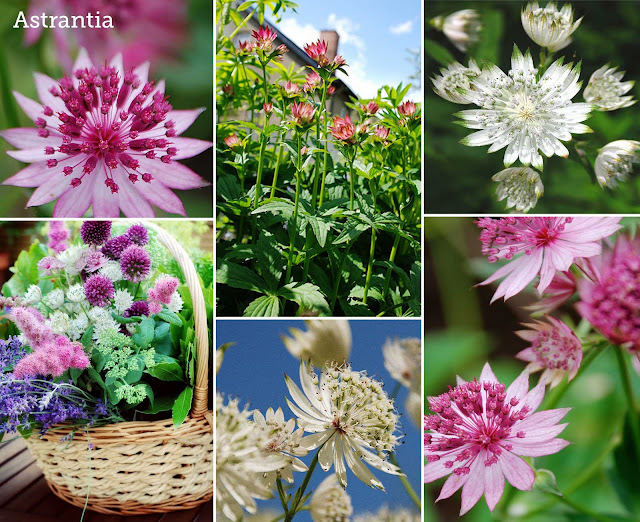 Astrantias are very easy to look after and don’t seem to get eaten by slugs. Just chop down the stems and leaves late in the Autumn and they will repay you by growing bigger each Spring. If you see one at the nursery or garden centre this weekend they will be just coming into bud.